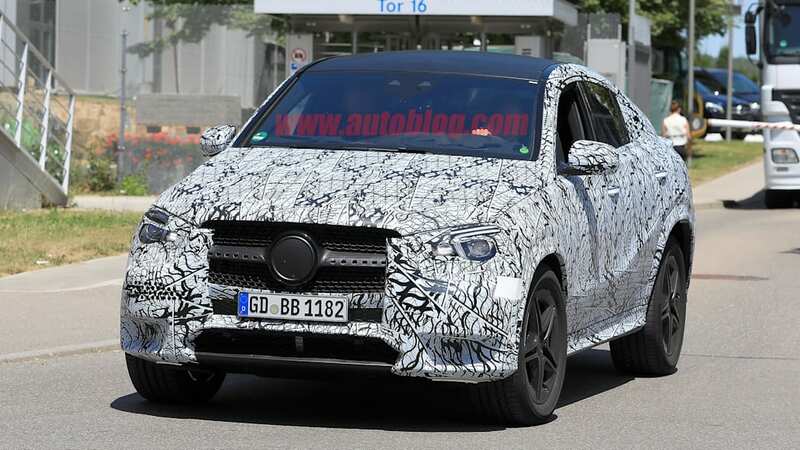 The 2019 Mercedes-Benz GLE-Class midsize crossover SUV is nearly ready for production, so it comes as no surprise that the "coupe" version with its sedan shape and liftback is also in development. 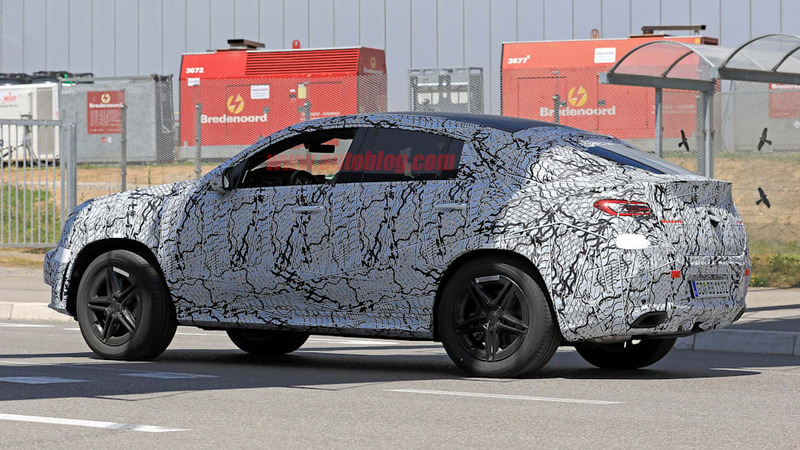 We got our first look at it thanks to one of our spy photographers. 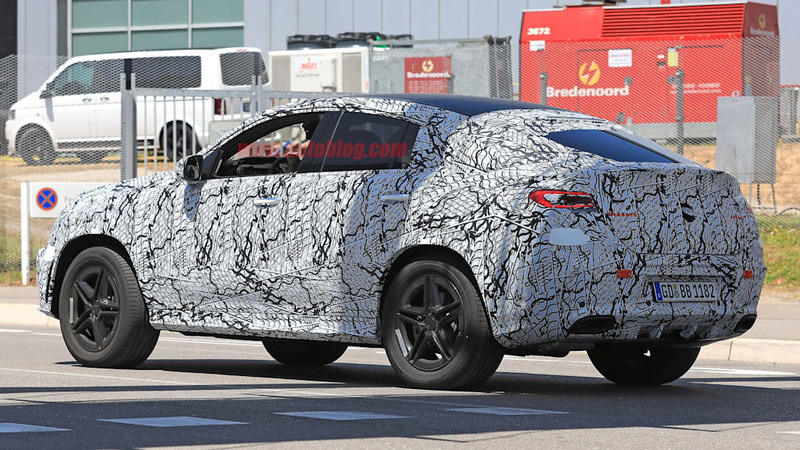 It's an evolutionary design, but one that seems to correct some of the awkward lines of the old model to create a sportier-looking vehicle. 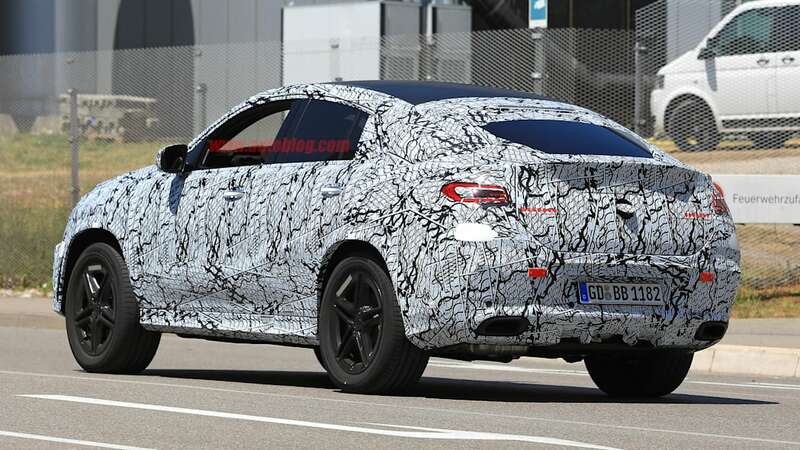 Starting from the front, the new GLE Coupe loses the upswept fascia of the old model. 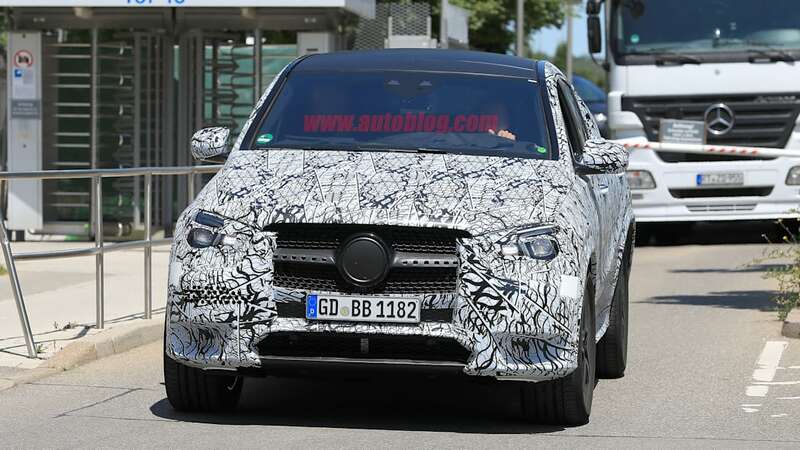 The grille is at its widest toward the bottom, narrowing toward the top. 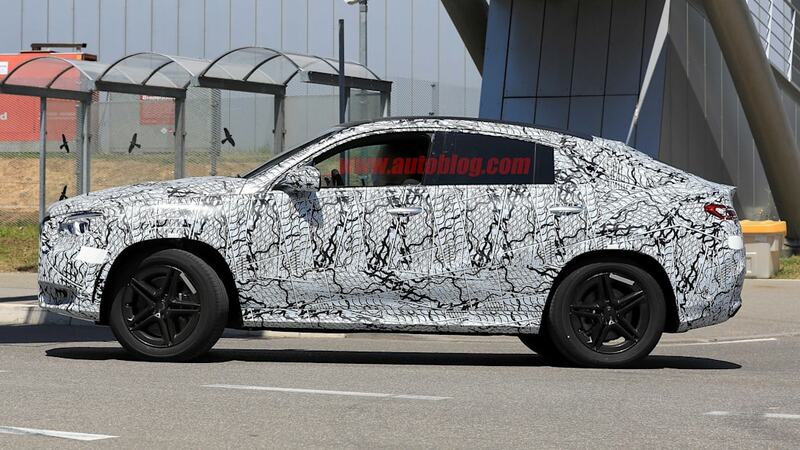 The headlights don't rise as high either, and the bottom sections drop down a bit. 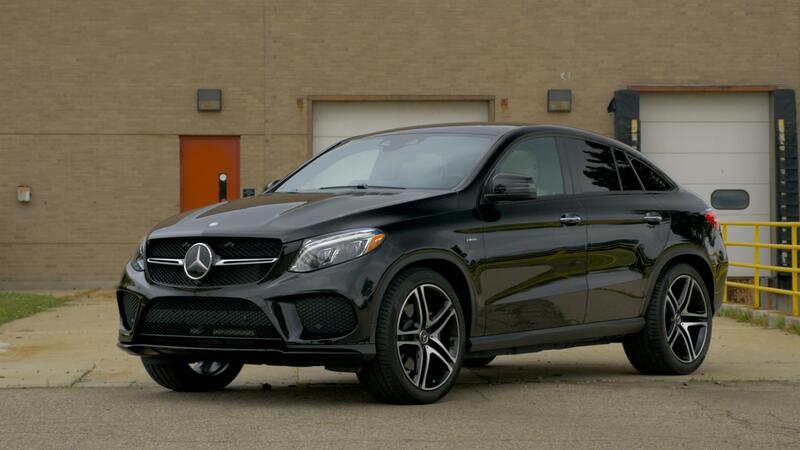 This gives the new GLE Coupe a lower, wider look up front. 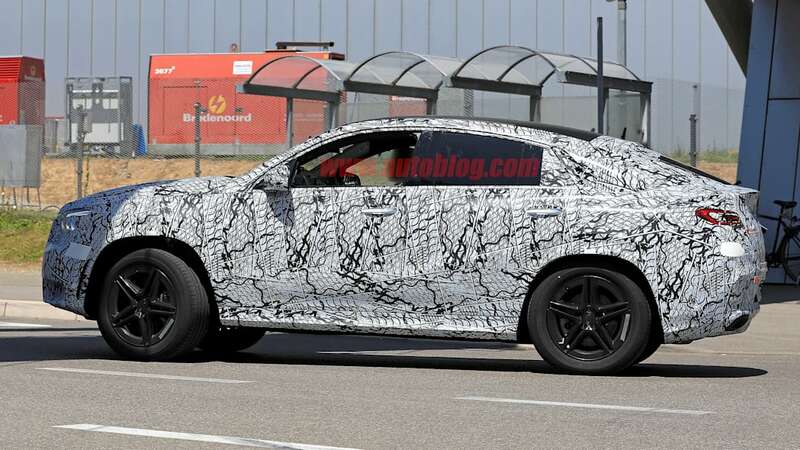 Around the sides, the liftback sedan profile remains, but the roof looks lower, and the front and rear glass rise up at shallower angles. 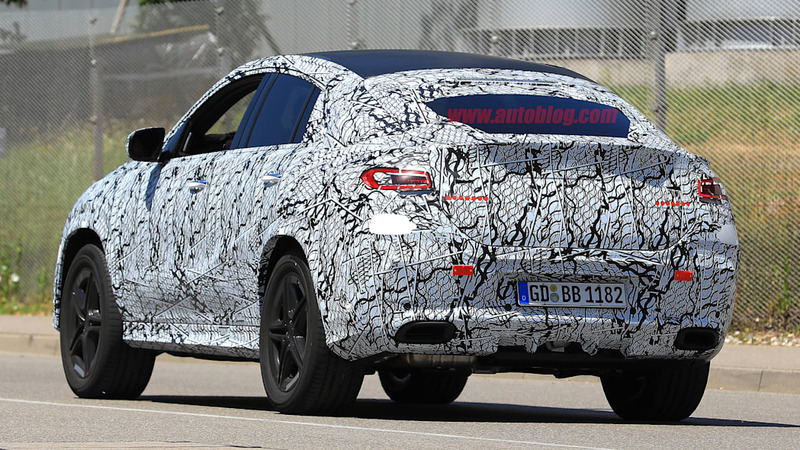 This goes a long way to eliminate the slightly bubbly design of the outgoing GLE Coupe. 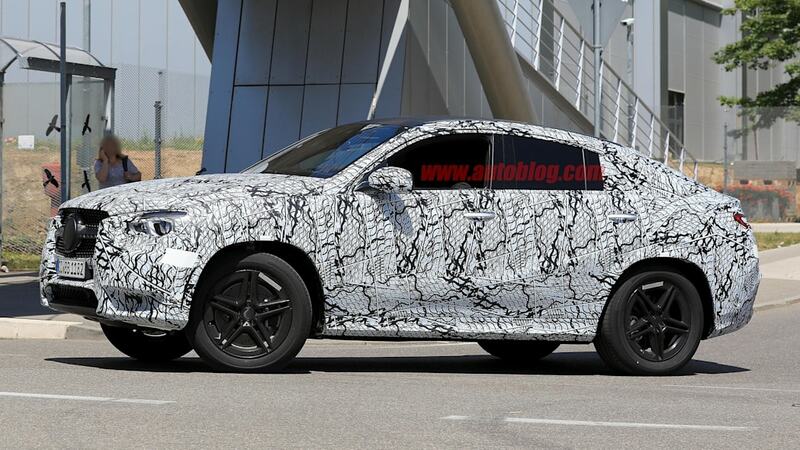 A potential downside of this, though, is that there seems to be much less glass area along the sides, so visibility and light might be diminished on this model. 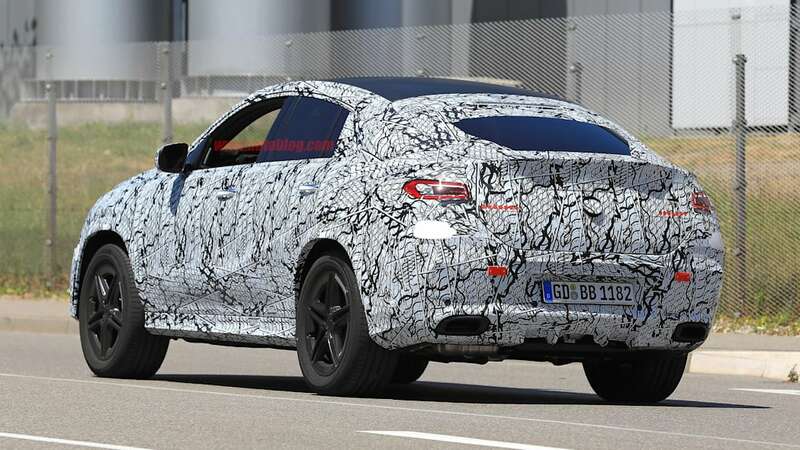 The back is very much a mild evolution of the current model. 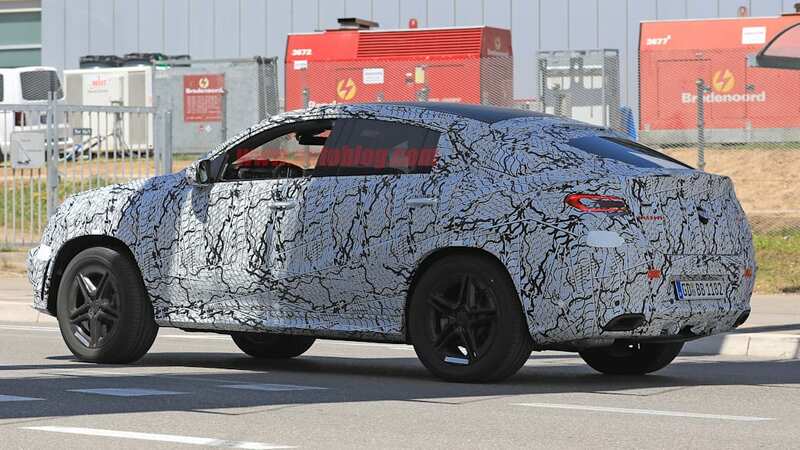 The rear spoiler looks a bit longer, the taillights are becoming more similar to those of the CLS-Class, and the back of the liftback appears to lean farther forward. 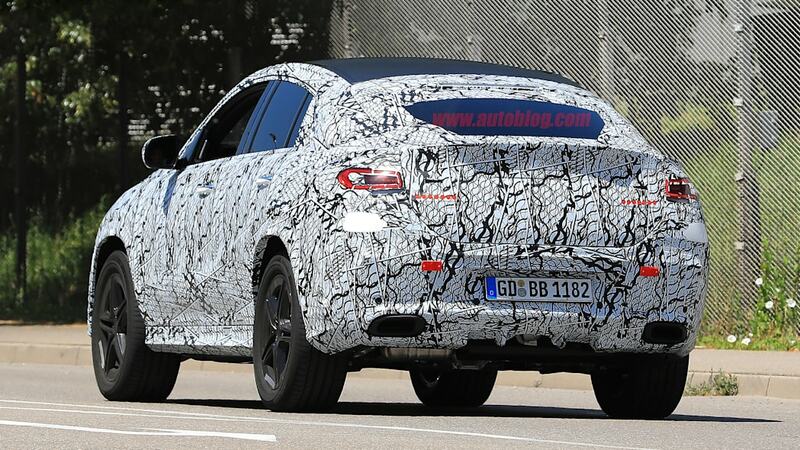 Interestingly, it appears that the rear bumper has basically no step where it ends and the trunk begins. It's all one, big, bulbous curve. 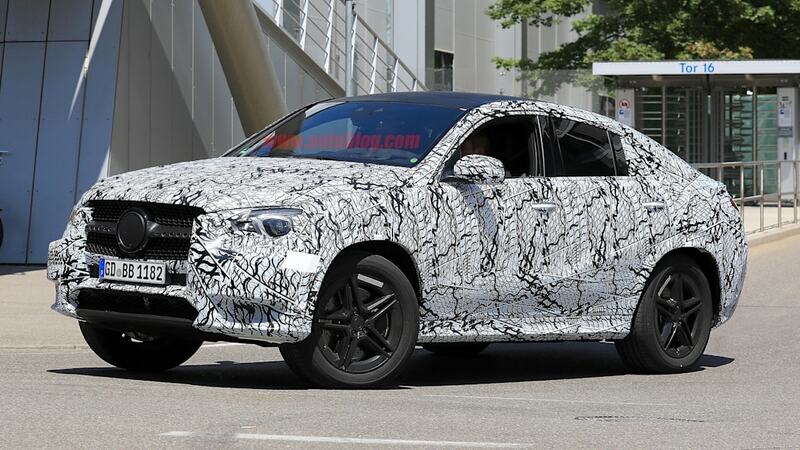 The normal GLE-Class is expected to arrive for the 2019 model year, and spy photos have shown it's just about finished. 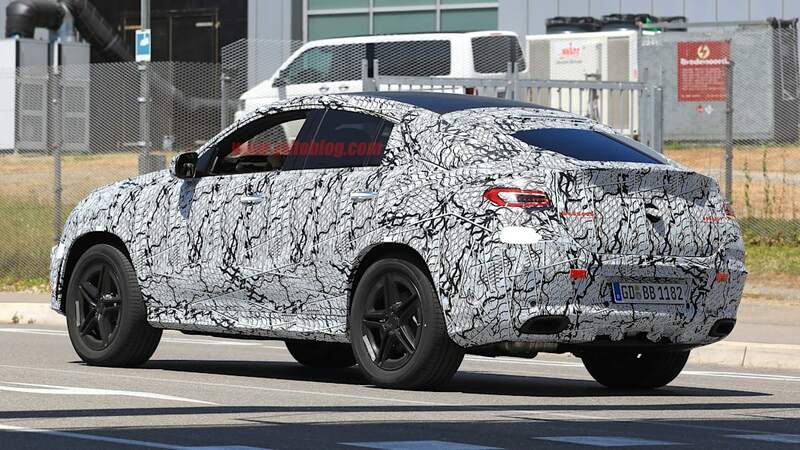 Based on the looks of this GLE Coupe prototype, it may be another year out, possibly as a 2020 model. 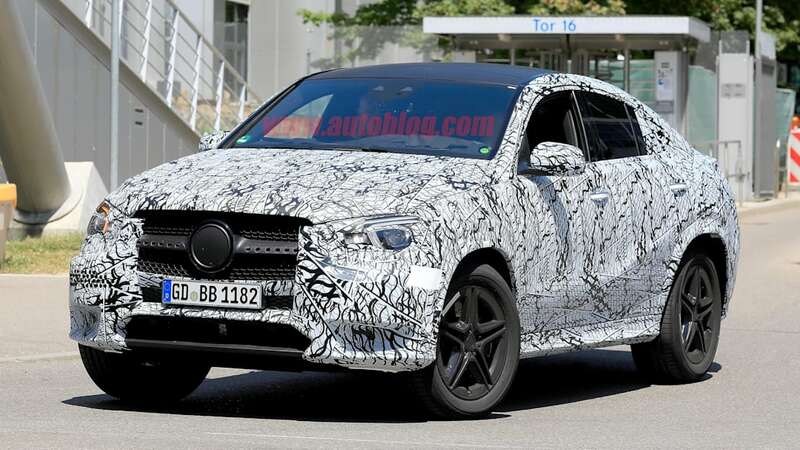 It will likely have trims and engines that mirror the standard SUV, likely a twin-turbo 4.0-liter V8 for the top-rung AMG model, and twin-turbo V6s for the standard version and the entry-level AMG models.